I bought 2 large chicken legs & removed as much of the skin & fat as I possibly could. I cut the skin & fat into small pieces (using a pair of sharp kitchen scissors) – this will be easier if the skin is VERY cold. I spread the skin & fat pieces in 1 layer on a baking sheet lined with tin foil, sprinkled generously with salt & baked them for 15 minutes. I added 1/2 a yellow onion, chopped then returned to the oven to bake for an additional 45 minutes – stirring every 10 minutes. I passed the fat through a strainer, into a bowl. 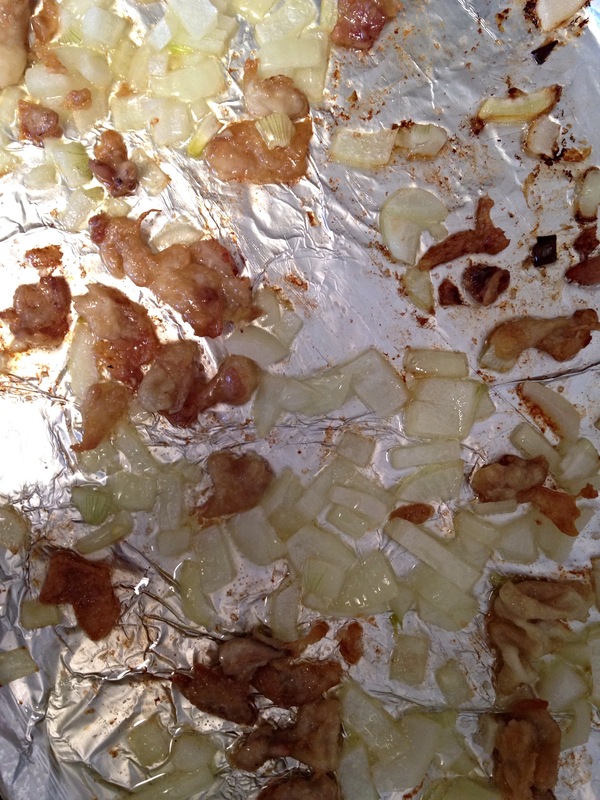 The ‘gribenes’, or crispy skin & onions, remained at the top of the strainer while the clarified schmaltz falls through to the bowl. This sounds tedious, and it absolutely was, BUT it was totally worth it for a couple of reasons. Firstly, it was rewarding! I’ve found the closer you are to your food while cooking it, the more proud you’ll feel once it’s complete. Secondly, my dad was extremely happy to hear I was keeping one of his old family traditions alive. Finally, my apartment smelled deliciously savory while the skin crisped and the fat rendered in my oven. I had to open some windows so I wouldn’t smell like chicken the entire night, but during the process my nose was in heaven. 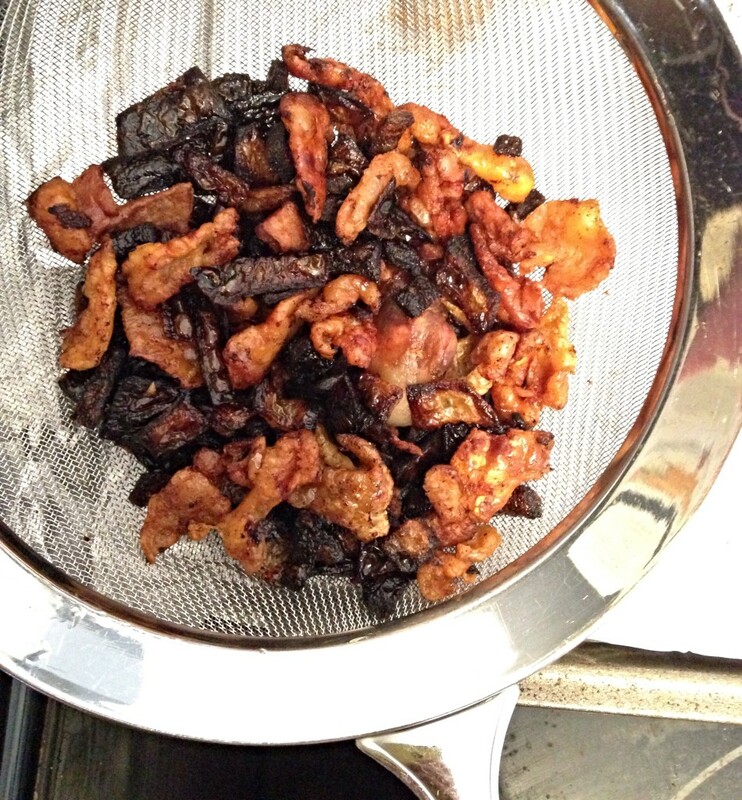 The only warning to homemade schmaltz, is you’ll want to snack on the gribenes afterward! Enough about my schmaltz kick. 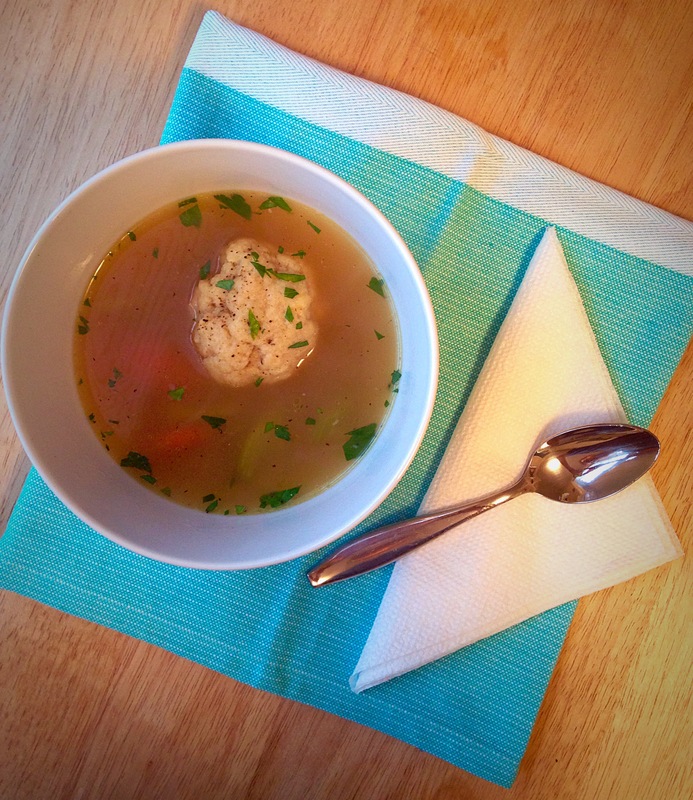 Let’s get to some matzo balls! Seltzer is key. As I said above, moisture is an important component to matzo balls. While many recipes call for water, I use room-temperature seltzer because that’s what generations before me have done. The seltzer gives the matzo balls a light, fluffy consistency – consistency will make or break your matzo balls, so this tip is key! Don’t touch the matzo balls. Okay, you need to touch them a little bit, but don’t overdo it. If you manipulate the matzo balls too much, they’ll become extremely dense and unpleasant. Moisten your hands with cold water, scoop 1-2 tablespoons into your palm, roll just enough to form a ball then drop them into boiling water or broth to cook. The broth should be delicious. 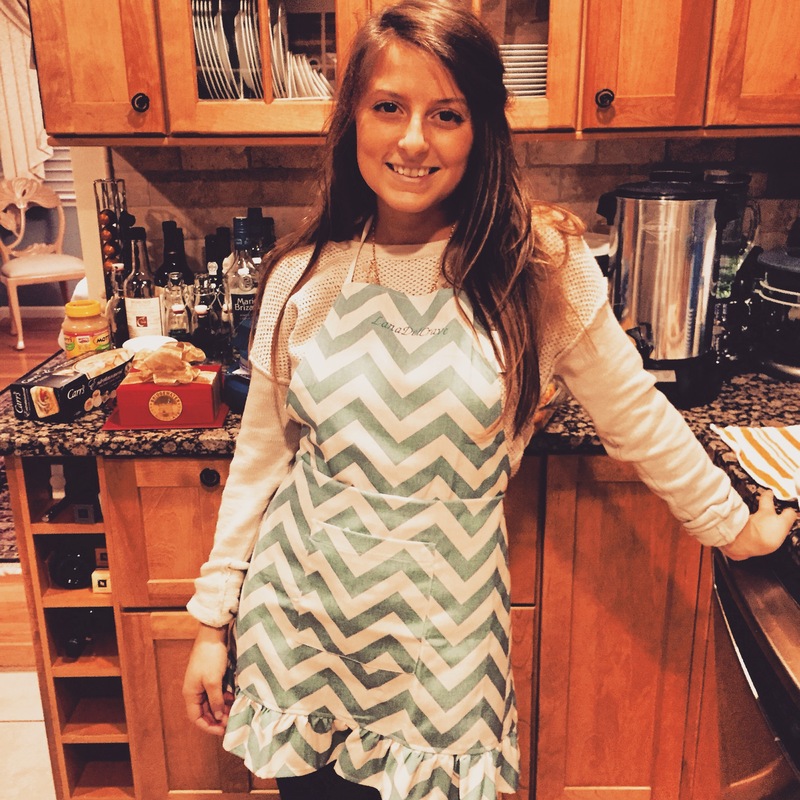 Not to ‘toot my own horn’, but I make a pretty delicious bone broth (recipe here). In my opinion, homemade is always best but if you don’t have the time, or have a particular brand you love, go ahead & use store-bought. Another option my mom would turn to is buying chicken broth from a kosher market. If you're making homemade schmaltz, follow my mini-recipe above. To a medium bowl, slightly beat the eggs then add oil or schmaltz, matzo meal & salt. Mix using a fork. Add seltzer & mix until uniform. Cover & chill in the refrigerator for at least 20 minutes. While the batter is chilling, fill a large pot with the broth & water, then bring to a rolling boil. Add the carrots and celery, salt & pepper to taste. Remove the batter from the fridge and dampen your hands with cold water. 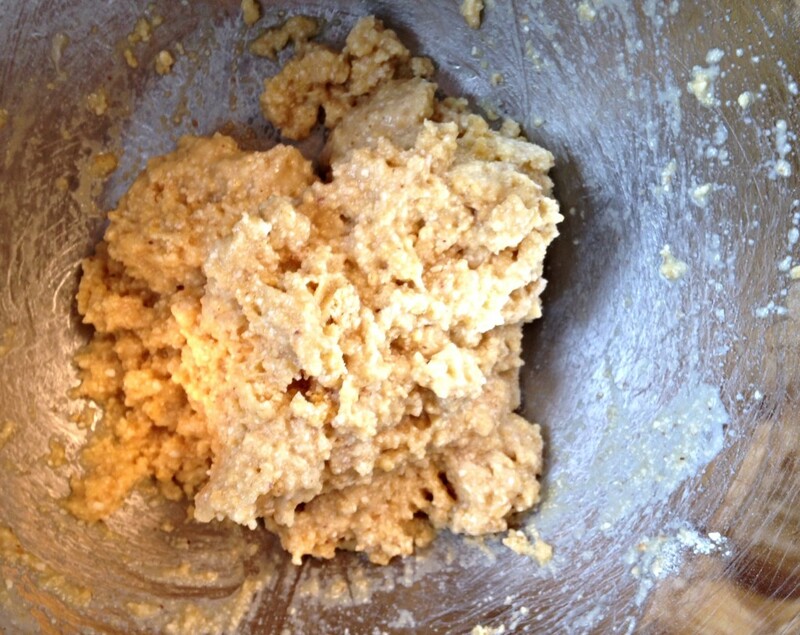 Using a 1-2 tablespoon automatic scoop, gently scoop the batter into your palm & roll once or twice to form a ball. 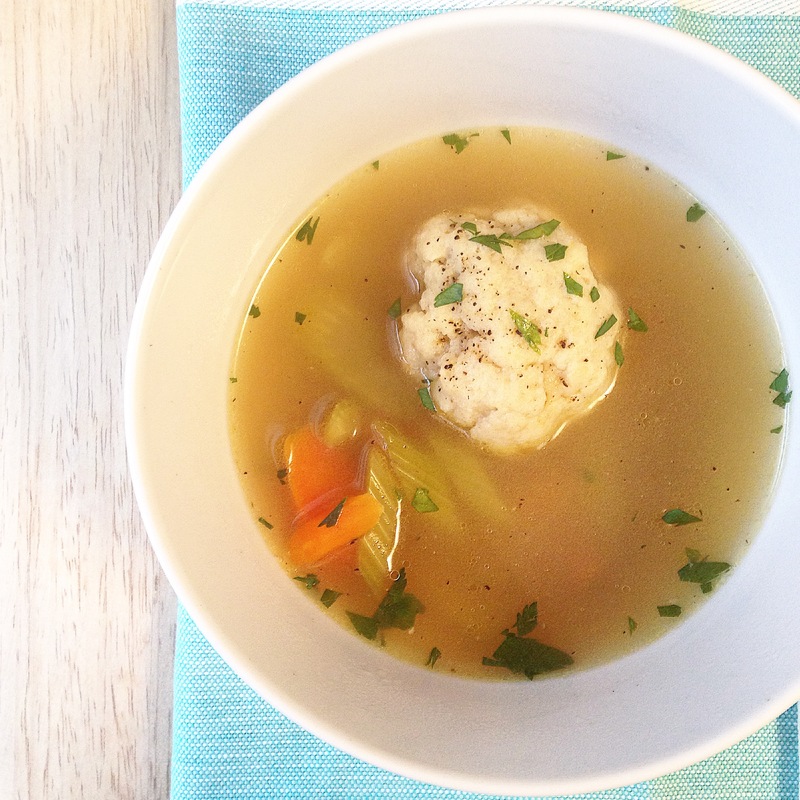 Drop each matzo ball into the boiling broth. 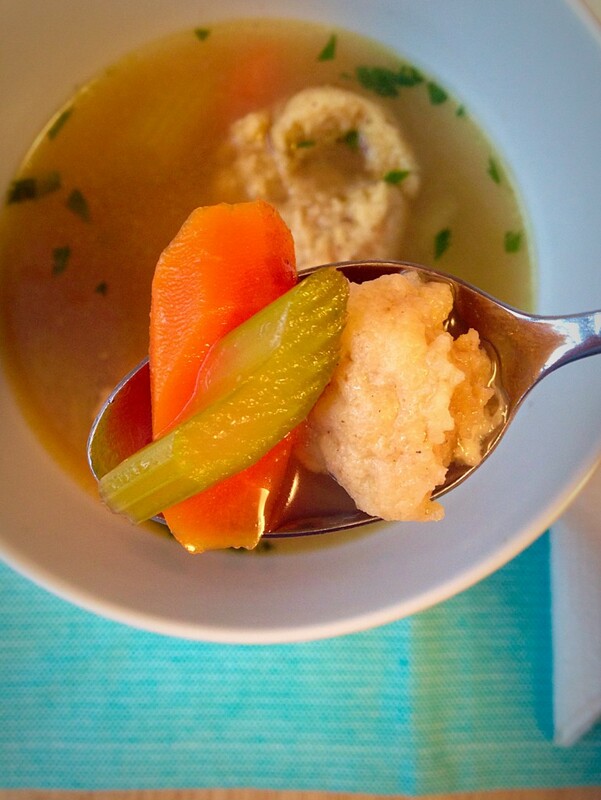 Once you've finished dropping your matzo balls, cover the pot & reduce the heat to simmer. 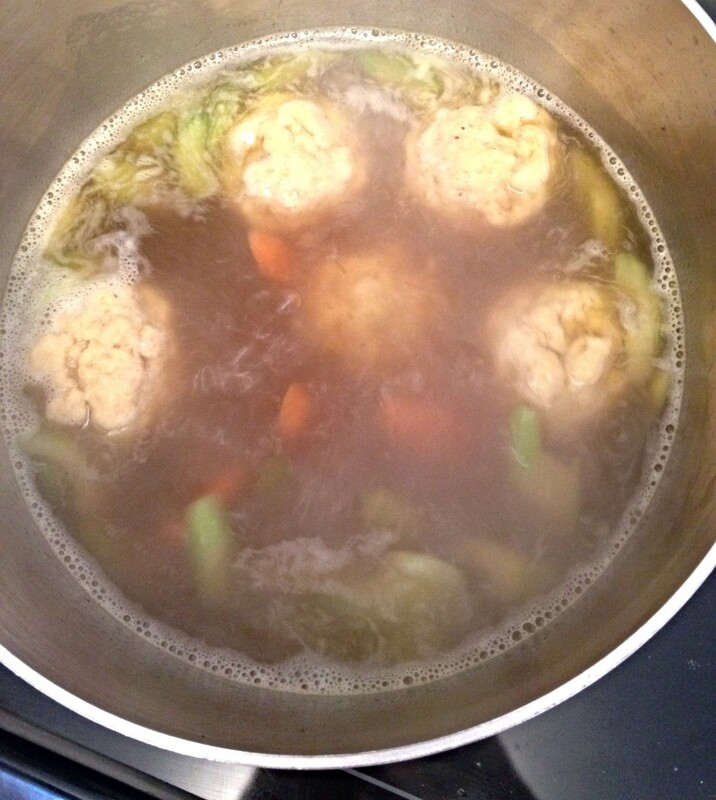 Let the matzo balls simmer for 30 minutes, until cooked through. If you want to double this recipe, do it one batch at a time so the measurements stay consistent.